However, one of the benefits of her hoarding was that every now and again I came upon something that was kind of cool. For example, I have these old comic books from the 1930s. Several of them are in decent shape, but a few of them were pretty trashed, as evidenced by the group held together with string. I took this one for my project. I repeat…no intact books were harmed in the making of this project. 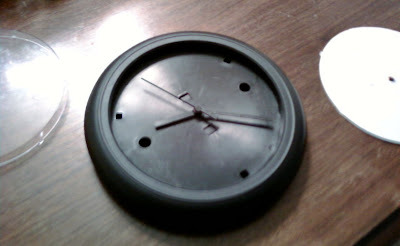 I took this old clock and used that as the base of my project. I threw away the plastic cover since it was cracked. I used the old face as a template to cut a new face out of a thin cardboard box. Next, I wanted to use this inscription from the book. 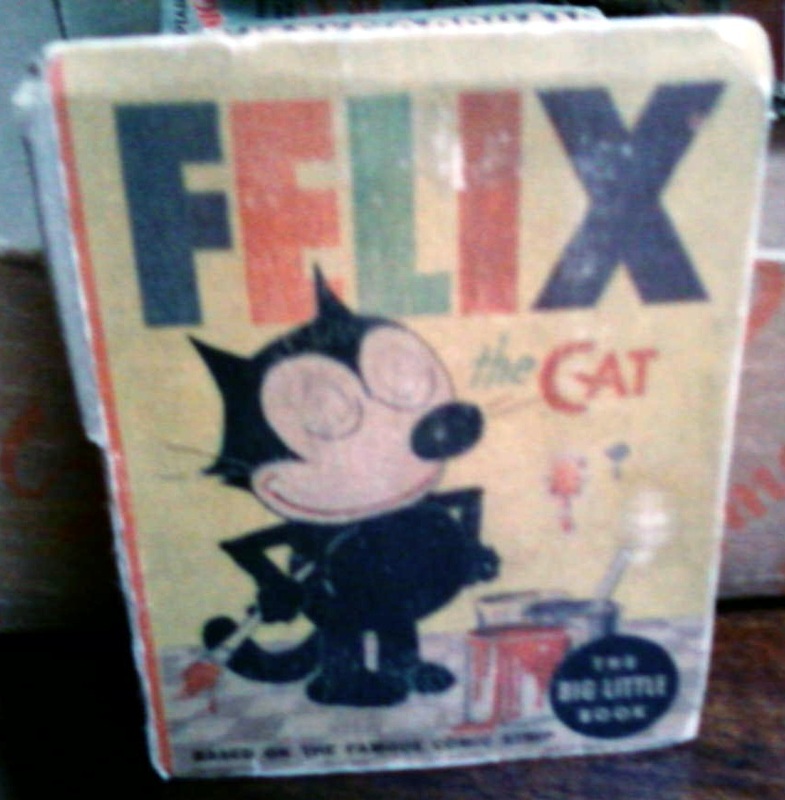 This is my MIL’s name and this book was given to her on her 5th birthday. It took me a little while to play around with the pages and images, but finally I came up with a solution I liked. I tried to find images of Felix that went in the right direction for where the numbers usually go on a clock. I didn’t have enough images to represent all the numbers, but I think this is a good balance. I liked the little sun image from one of the drawings, so that is the center piece. 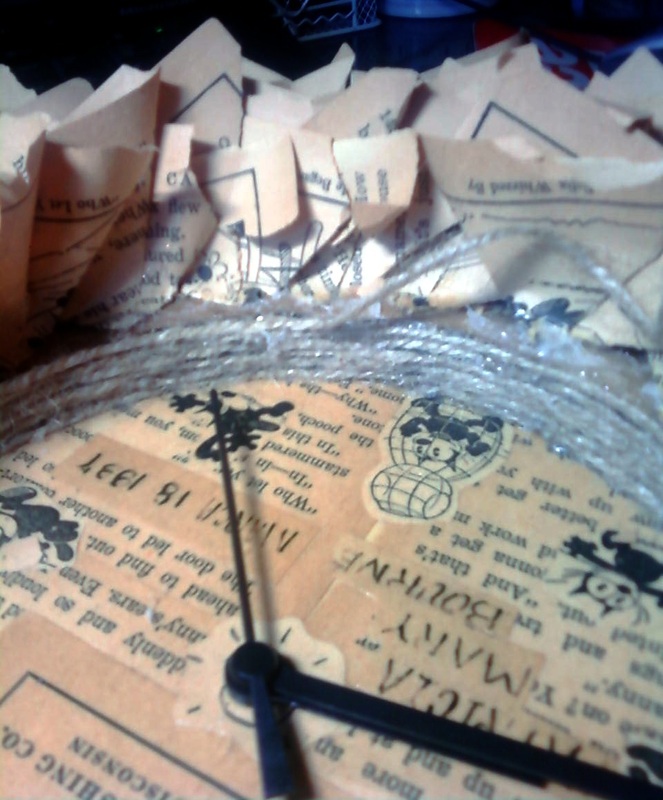 Next, I needed a way to attach the pages to the clock. I took a thicker piece of cardboard and cut it out to fit around the frame of the clock. I used pieces of Duct Tape to hold the side sections together. I taped it on the inside of the box so I wasn’t trying to glue on Duct Tape. 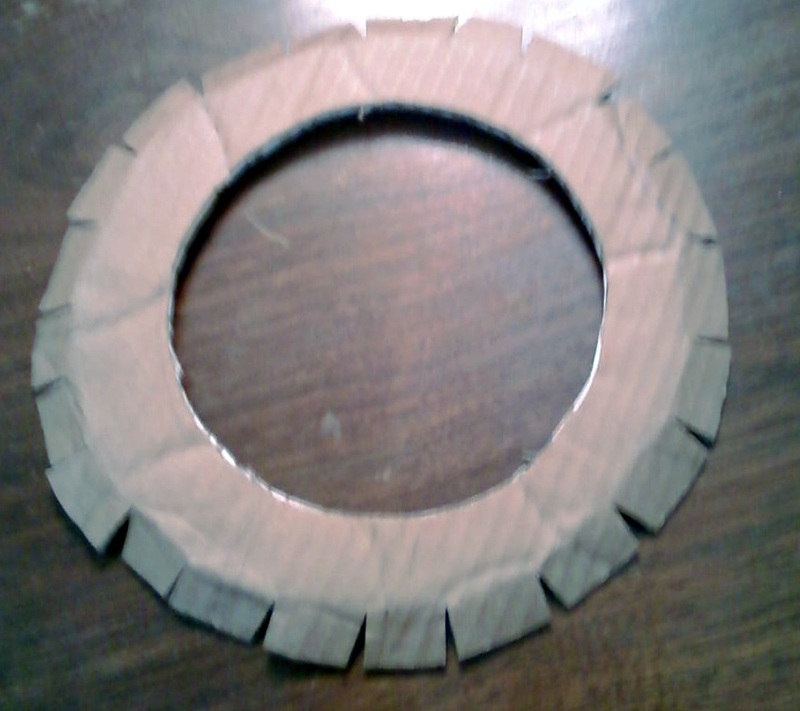 Then I used some of my Gorilla Super Glue to hold the cardboard to the clock. 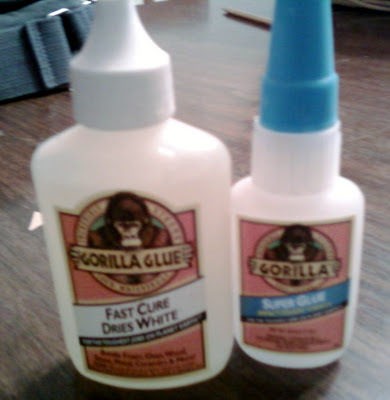 You have to know I’m serious about my project when I break out the Gorilla Super Glue. For some strange reason, Super Glue does not like me. It attacks me on a regular basis. For example, I now know that I should never attempt to use my mouth to take off the cap from the Super Glue, and even more importantly, should NEVER attempt to stick the glue back INTO THE CAP while the cap is still in my mouth. Thankfully, it only took me a few hours to get my mouth unstuck and the glue off, but as a method of lip exfoliation, I’ll try something a little less painful next time around. Seriously, I’m a complete dork 98% of the time. At any rate, I folded my paper like so. 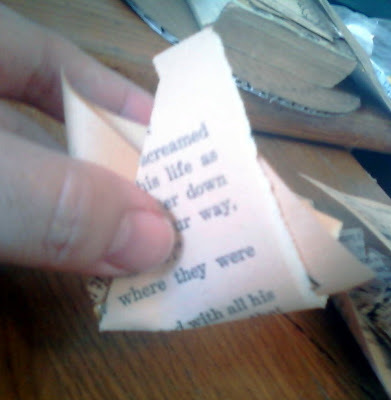 I put a little dab of glue there in the middle so when I folded it again, the pages held together. 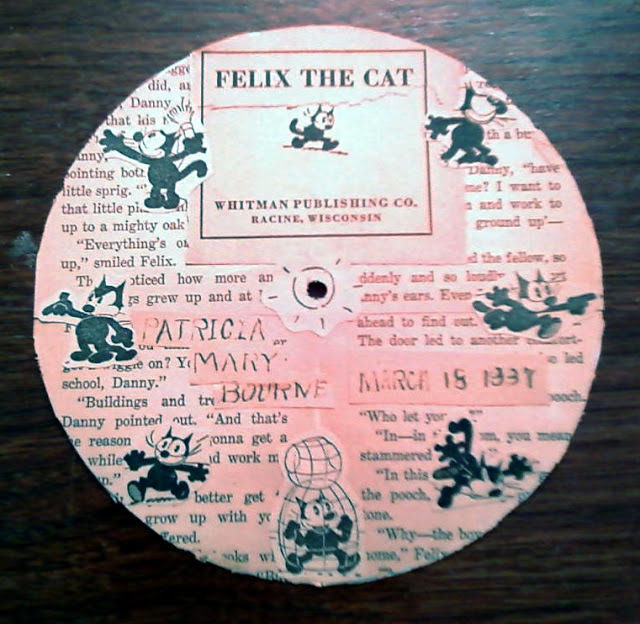 I folded, glued, folded glued and layered my way around and around the clock. I alternated how I folded the paper since one side was a drawing and one side was text. 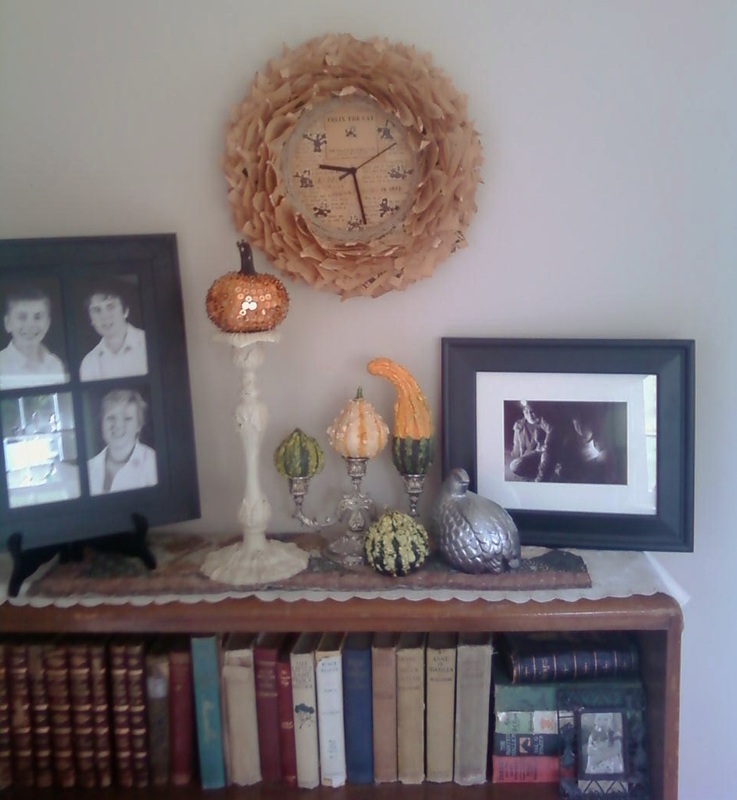 After all that glueing and folding, I had a weird place in the middle of the clock. If I did another round or two of the paper, you wouldn’t be able to see the clock. I tried using ribbon, but that wasn’t working. 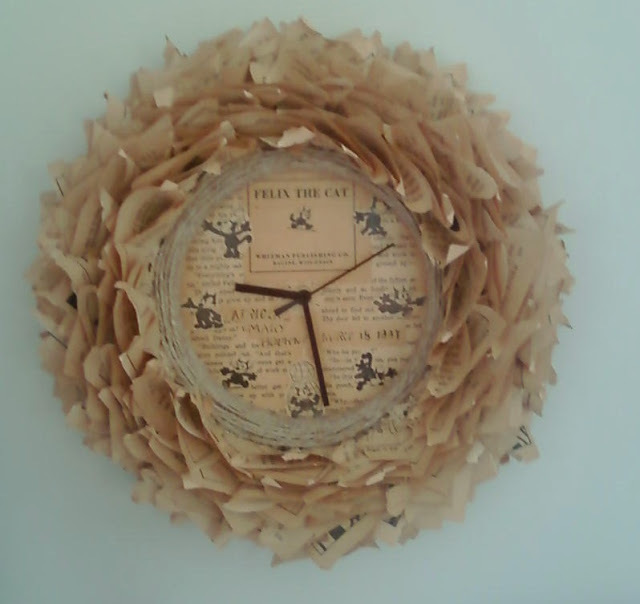 Buddy suggested I keep with the brown theme of the paper and use some twine. 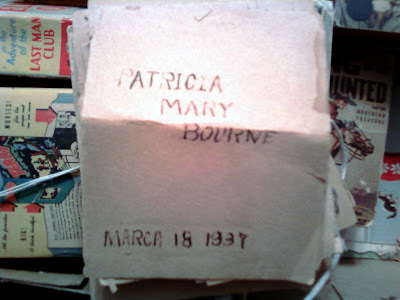 Here’s what it looked like as I started to layer the twine. Finally, I finished all my gluing. I switched to hot glue for the pages because I don’t have the patience to wait on other glues. Gah! Yes, I burnt my fingers, but I got the project done in this century, so I was willing to put up with a little pain for the sake of project completion. For some strange reason, he gets really nervous when I’m around sharp objects and/or hot glue. 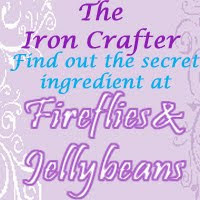 Again, I think it has something to do with my exceptionally high dork-factor rating. Here it is with my Liberace Pumpkin, some funky gourds and my Mercury Glass Bird. 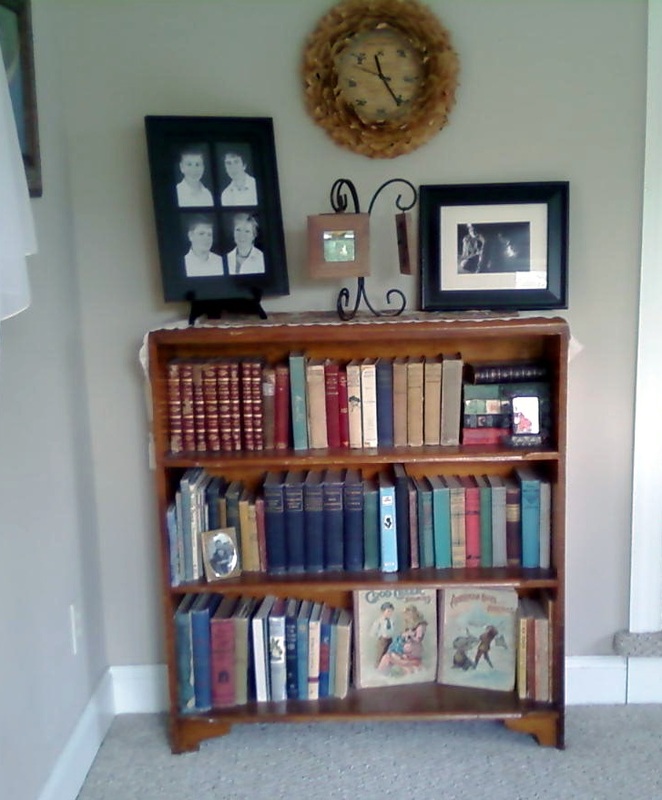 I like this location for it because that shelf is full of antique books, so it’s a nice touch here. The whole area, but with some different pieces on the book shelf. One final note, if you’re going to do this project, do yourself a favor and DO NOT use a 74 year-old comic book. The pages were very brittle and they tear very, VERY easily. 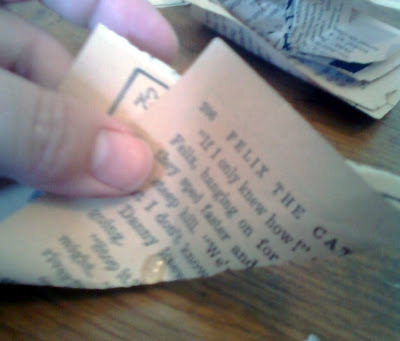 If I were going to do this again, I’d take the time to age the pages of a newer book. Trust me on this one. 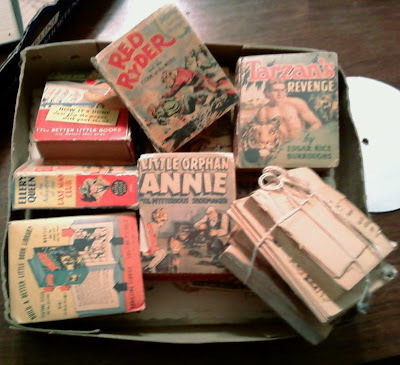 Cardboard – Free, see where I’m going with this?